In just over a week, the board for U of L’s accrediting agency decides if the university keeps its accreditation, extends its probation or loses its accreditation. Though the agency’s president remains vague on the possible outcome, university leadership have trumpeted reform and progress toward recovering its accreditation. Here’s a look at major events and factors likely to influence the December meeting. It started after Governor Matt Bevin erased the board of trustees, appointing hand-picked members to replace them. The Southern Association of Colleges and Schools, U of L’s accrediting body, responded by placing the university on probation for potential political influence and governance issues. Worries for the school’s accreditation abounded. Losing it would devalue U of L degrees, bar students from federal financial and dissolve the NCAA’s affiliation with the university. Kentucky’s general assembly ratified Bevin’s order, fulfilling a potential SACSCOC’s violation by making his order law. But several audits and reports raised more accreditation questions. One audit warned of dysfunction, another alleged there was obfuscation and reports found U of L administrators misspent finances. 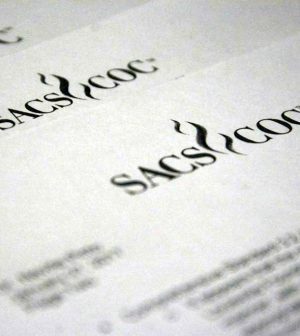 By September, U of L had wracked nine possible violations against SACSCOC standards. Interim President Greg Postel had visited SACSCOC in August and said he was confident the university tackled accrediting violations. SACSCOC sent a team to verify that in September, reviewing the university’s progress to satisfy accrediting standards. The visit was telling. SACSCOC’s special committee visited campus and met with Postel, faculty, staff and Bevin to check the school’s progress. That committee said U of L met or exceeded seven out of nine accreditation standards, praising the university for its cooperation. Though the university’s efforts satisfied most of the potential accrediting violations, SACSCOC Vice President Michael Johnson said that may not matter. SACSCOC’s board will measure that success when it meets in December. SACSCOC’s President Belle Wheelan said SACSCOC could review the FBI investigation, which led U of L to fire Rick Pitino, Tom Jurich, Kenny Johnson and Jordan Fair, next summer. Postel and David Grissom, the chair for U of L’s board, will visit SACSCOC Dec. 1. SACSCOC decides the university’s accreditation Dec. 5.